Upon first meeting playwright, construction maven, and producer, Bobby Goldman, you cannot help but to be blown away by her charm, her moxie, and her joi de vivre. To think that this woman was married to famed Academy Award Winning, Tony Award nominated writer, James Goldman, who after his passing, decided to reinvent her life. Her reinvention included reconnecting to the new world, and boy she really does it right. She has the cute apartment, the successful career, a wonderful legacy to protect, and a new life of choices to make. 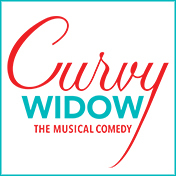 The new Off Broadway musical, CURVY WIDOW, with a book by Bobby Goldman, music and lyrics by Drew Brody, under the fun direction of Peter Flynn, tells the honest, funny, travails, of a new widow doing what the kids are doing, and actually having more fun than she could have imagined. 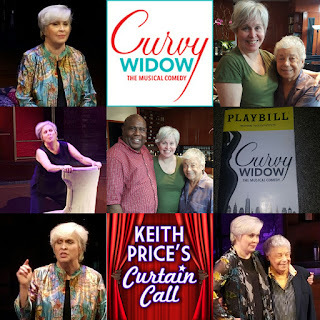 TonyAward Nominee, Nancy Opel, takes the lead of this show and runs with it. We are taken on a fun and funny ride through the world of dating and more, along with our protagonist. At every turn along this piece, there is heart, humor, soul, and a little tough truth about what it means to be at the precipice of change in your life, no matter your age or circumstances. This is really the core of the show. 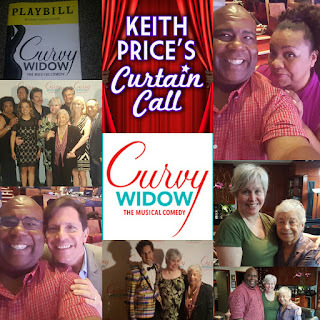 I had the marvelous opportunity to speak to the show's director, book writer, composer/lyricist, and two cast members, Nancy Opel and Aisha de Haas. 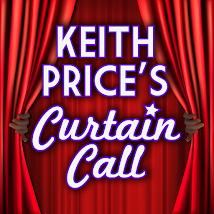 Click HERE to enjoy my conversations with some of the cast and creatives of this fun musical. This is a fabulously talented ensemble piece that also includes, Andrea Bianchi, Elizabeth Ward Land, Ken Land, Alan Muraoka, and Chris Shyer.